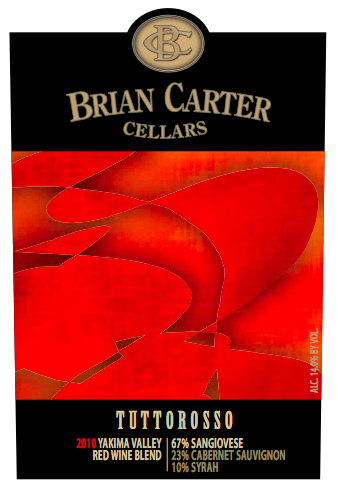 Wine Press Northwest’s reigning Washington Winery of the Year works with some of the state’s most well-known vineyards — Boushey, Klipsun, Olsen and StoneTree — for his annual Super Tuscan-style blend of Sangiovese (67%), Cabernet Sauvignon (23%) and Syrah. The alluring nose of cherry taffy, roasted marshmallow and chalkboard dust also offers up hints of crushed leaf and rose petal. There’s a delicious and bold array of fruit flavors akin to black currant, raspberry and plum, backed by moderate tannins and a dusting of cinnamon powder. It received a silver medal at the 2015 Seattle Wine and Food Experience Wine Awards.